Just like the housing supply in Seattle is small, so are the apartments. Even though new units are arriving on the market, they are continually dwindling in size. More small apartment complexes are arriving on the market for a more affordable solution to housing. An average apartment in Seattle is about 700 square feet. This is officially the smallest average nationwide. Meanwhile, major cities that one would normally think of for small apartments, like Manhattan and Chicago, average at 733 feet. Contrastingly, Tallahassee, Florida has an average of more than 300 feet at 1,038 feet. To meet the demand from renters at a reasonable price, it is required that leasers provide more units but with less space. In this, to match the average income of renters, and supply all needed units, the best solution is smaller apartments. These smaller apartments make it possible to live in Seattle and maintain financial stability. 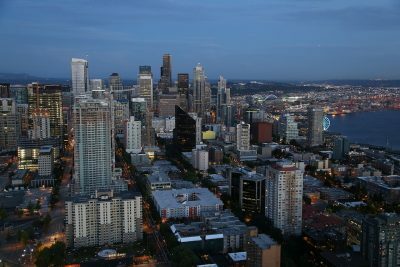 Over the past ten years, Seattle’s apartment sizes slightly increased by four percent. This wasn’t enough to increase the average apartment size. Consequently, the rent also increased by 74%. Therefore, with the rising rent rates and strict housing conditions, many developers work to fit as many apartments as possible into a building. As with the desire for more apartments, Seattle has also favored micro-apartments. Beginning in Portland, micro-apartments are a concept that means there is no kitchen in the apartment itself, but there is one included in the common area. This allows for more smaller apartments and even lower prices. As Seattle is one of the most popular cities in the US, it makes sense that the apartments would be expensive. In this economy, it’s nice to see that developers are accommodating those with lower budgets.